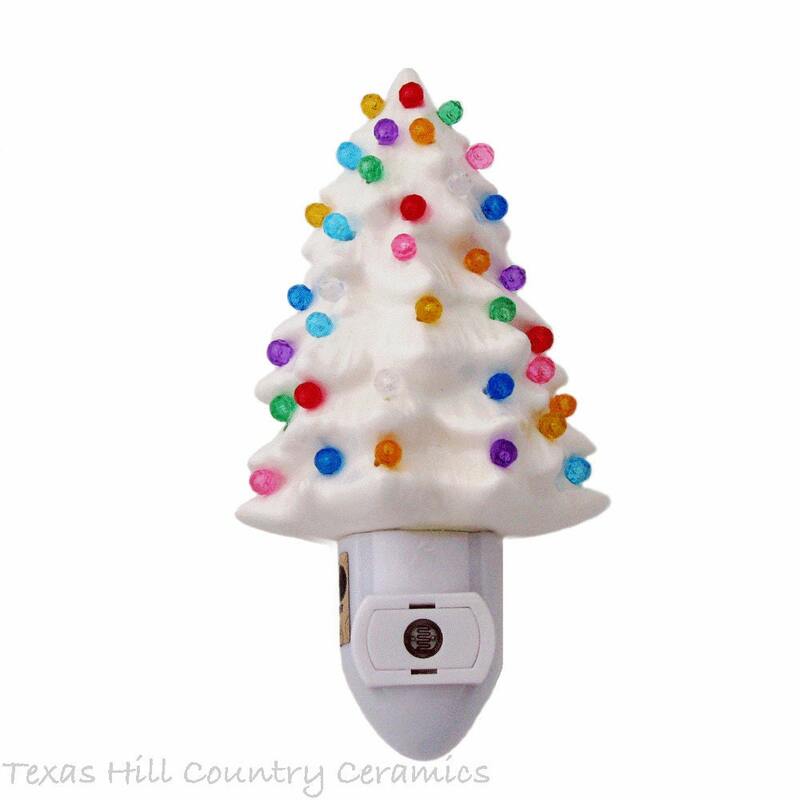 This white ceramic Christmas Tree Night Light is decorated with small faceted multi color globe lights and comes with a light sensitive automatic switch that plugs into a wall socket. This night light is my original creation. The multi color ’Christmas’ lights show well when lit and will help keep you in the holiday spirit. Each ceramic Christmas Tree is finished in a milk glass glaze. 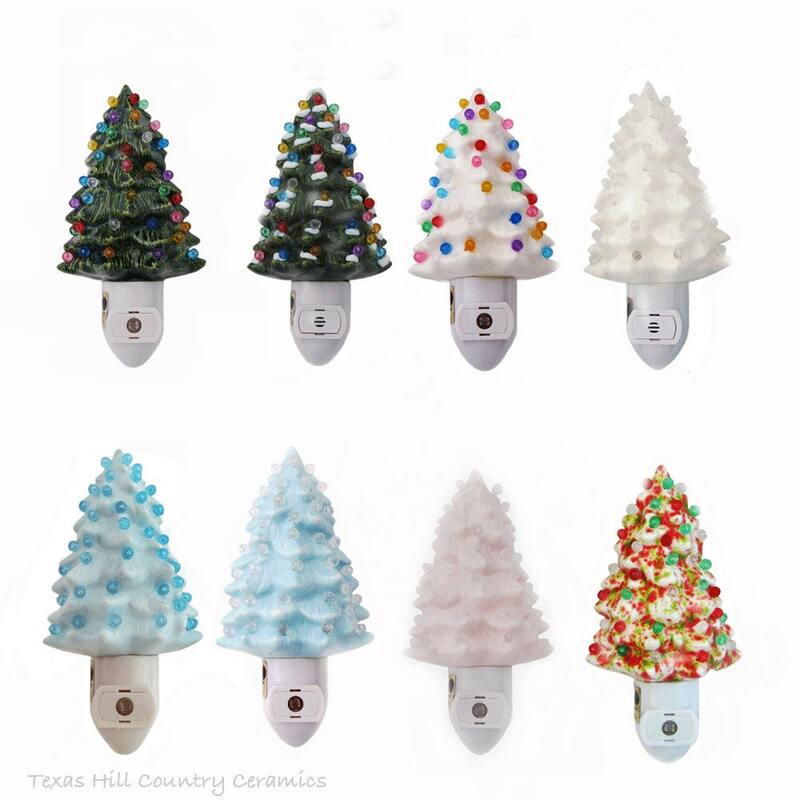 Small lights in 9 different colors, red, clear, green, aqua, blue, yellow, gold, pink and purple are secured with a water base glue. 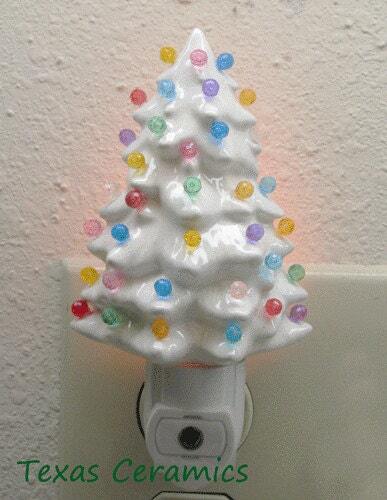 The tree comes with a white light sensitive switch that automatically turns on in the dark & off with light. The plug is two-prong polarized on the left side. A small light bulb is included. The UL approved night light unit and bulb is made for standard electrical systems used in the USA and Canada. All night lights are tested a minimum of 3 times prior to shipping to assure they are in proper working order. Beautiful thanks so much again! 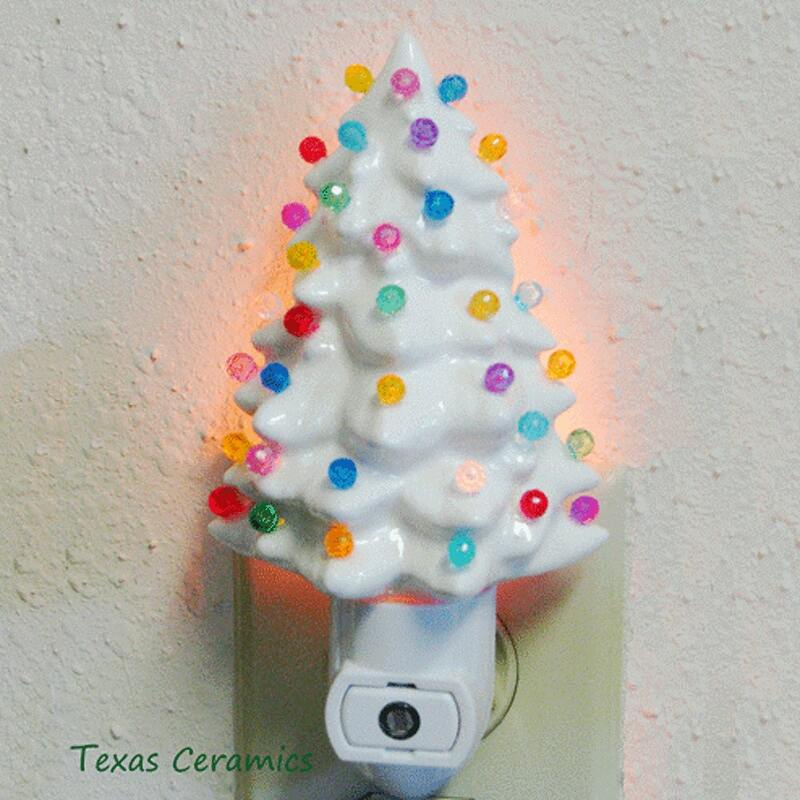 This is an adorable little night light! Excellent customer service and very speedy shipping! Thank you! Looks great and has a nice soft glow, packed well and shipped quickly. This light is lovely! Exactly as described. It's going to be a gift and I know the recipient will love it! The package was safely packed and received quickly. I strongly recommend this store - you won't be disappointed!